. 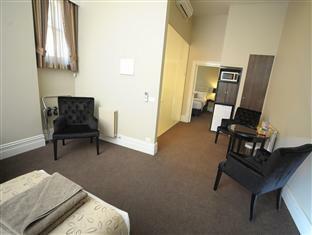 إن Quality Inn George Hotel Ballarat حريص على توفير الراحة للنزلاء، فلا يوفر الموظفون جهداً في تقديم أفضل الخدمات وضمان حسن الاستقبال. لضمان راحة ضيوفه، يقدم الفندق الخدمات التالية: واي فاي مجاني في جميع الغرف, مرافق مخصصة لذوي الاحتياجات الخاصة, تسجيل وصول/خروج سريع, تخزين الأمتعة, واي فاي في المناطق العامة . 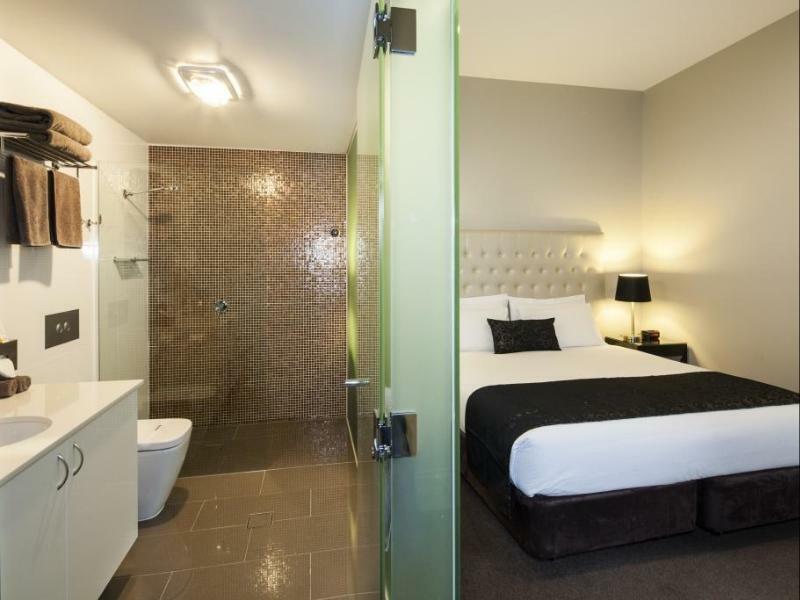 تنعكس أجواء Quality Inn George Hotel Ballarat في غرف الضيوف.تلفزيون بشاشة مسطحة, اتصال لاسلكي بالإنترنت, اتصال لاسلكي بشبكة الإنترنت (مجاني), غرف لغير المدخنين, مكيف هواء هي بعض الميزات الموجود في العديد من الغرف. يقدم الفندق خدمات رائعة كمثل بلياردو, حديقة لمساعدتك على الاسترخاء بعد نهار طويل من النشاط والتجوال في المدينة. 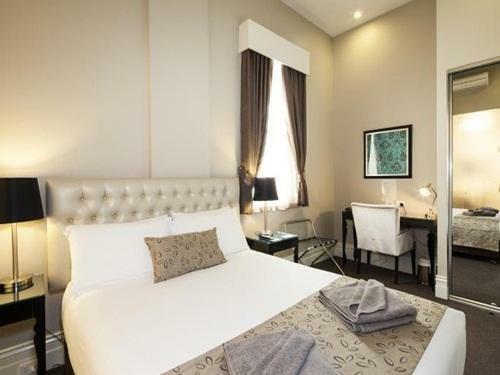 اكتشف مزيجاً ساحراً من الخدمة الاحترافية والخيارات الواسعة من وسائل الراحة والمتعة في Quality Inn George Hotel Ballarat. Old, traditional, authentic Australian Hotel/Pub. 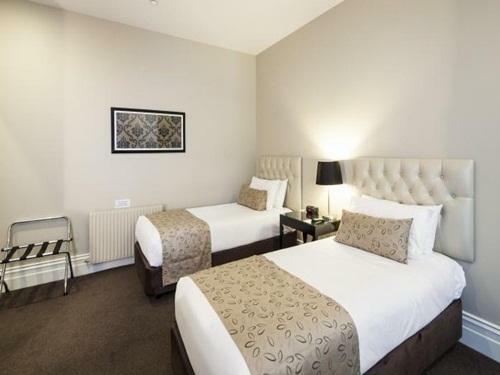 The rooms had been recently renovated and where very comfortable and clean. 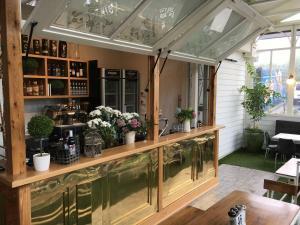 Although there was no breakfast option available, next door in the same complex was a beautiful cafe serving anything you could require for breakfast. The location was right in the middle of Ballarat amongst the many restaurants and bars. 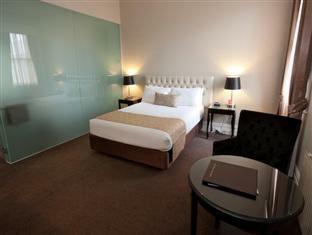 We highly recommend when in Ballarat to stay or just visit the George. we really enjoyed our stay at this hotel. very clean, the staff were all lovely. Only negative, was the bed was not the comfiest. but we really enjoyed our stay. Location was ideal within walking distance of all that I wanted to do in Ballarat. We just love to stay at the Quality Inn George Hotel. Every time we stay here we receive the same fantastic service. The hotel is clean, modern and the staff are wonderful. I feel very safe and secure staying here. I never look for anywhere else to stay as this is the hotel for us. This was the 4th or 5th time Ive stayed here and it is clearly sliding. The level of care they provide to customers, and the general level of customer service is that which you'd get at a McDonalds - not a nice hotel. Also, there are now signs all over the rooms telling the customers not to do this or touch that - its all a bit high school campsite. The facilities are generally OK though and the location is great. Room was very clean and tidy, suprised for a studio appartment it was large, contained a queen sized bed plus a single bed. Hotel staff at the bar were great, thought they were out of squid so we didnt order it only to find out later that they had it in stock. Waitress bought some over free of charge! Great Service. The room was small considering the price that we paid. It's run by a few people only, so we had to run to the hotel next door to do the check out. Overall the hotel room is clean hut for the price that we paid, it's not really value for money. In general, the stay was good. A few things I disliked were: rooms with no window, very small rooms, smelly hall way and my room was never made up right. e.g. towels hanging over the chair, iron table in the middle of room, etc. Basically, all they did was making the bed. Very happy with location, price, facilities and food. overall not bad as clean, convenient..does not have 24hours receptionist service which is a downside for customers. Good however, room was 3 meters from a function room where a 40th birthday was being held. Staff were very pleasant. It was a good stay and parking is just outside the hotel. And we appreciate the friendly staff. it was nice, great hotel! everything is nice, they even have machine slots downstairs and they have great restaurant and great coffee too in the cafe. centrally located and so on, just go for it.